This special Collector's Edition version of the game includes moving bonus content that delves into the girl’s childhood story. 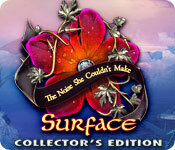 Surface: The Noise She Couldn`t Make Collector`s Edition is rated 4.5 out of 5 by 185. Rated 5 out of 5 by dcgvmy from Good game needs speed improvement I really liked playing the regular version of this game. 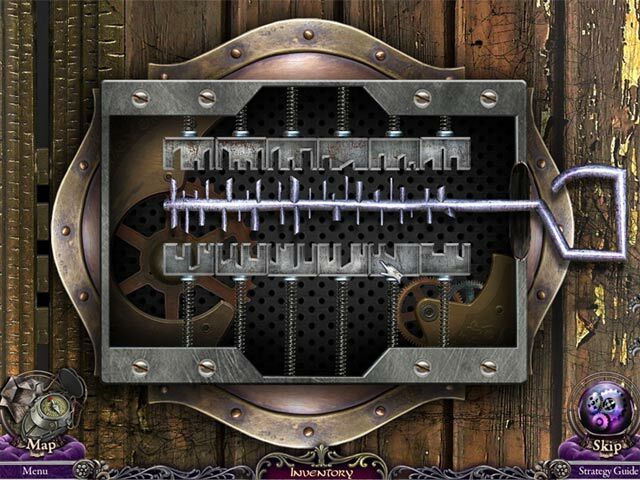 I wanted to try playing the collector's edition of the game on a windows 8 computer but the game moved so slowly. Anyone have any idea as to why that is? Rated 5 out of 5 by hermitcave from If you could virtually enter a person's mind, how would their thoughts and memories be displayed? A young woman found lying in the forest, unconscious, with a bloody knife near her and no apparent knife wounds or any other physical injuries, is taken to the hospital emergency where they are unable to wake her and she is getting weaker. Is she a victim or a criminal? Having no identification, she is listed as a "Jane Doe" and something has to be done before she gets any worse. You, a psychic, have been called to enter the woman's mind and determine what psychological traumas she may have suffered and to help her deal with them in the hope of bringing her out of her coma. Upon entering her mind, you find her psyche at the gate to the Town of Jane Doe and she is burning up from fever. You know that once you learn her real name and are able to enter deeper into her subconscious, you will find those deep, dark secrets locked away and hopefully be able to help her deal with them before her condition worsens. You must work through a series of symptoms affecting her body as you probe deeper so you maintain contact with the hospital staff through a TV monitor that allows you to get updates on her condition. Your progress is hindered by a strange woman dressed in black that Jane refers to as 'Noise" and she seems to be causing these symptoms to occur. The key to Jane's real name and her recovery is tied to finding out who she is and what happened to bring her here. Is "Noise" a different version of Jane, an alter-ego? And, if so, why has she turned against Jane instead of dominating and protecting her? Only reaching her darkest, locked memories will provide the answer. I enjoyed playing this game as it was not presented in the usual way when someone has lost their memory. 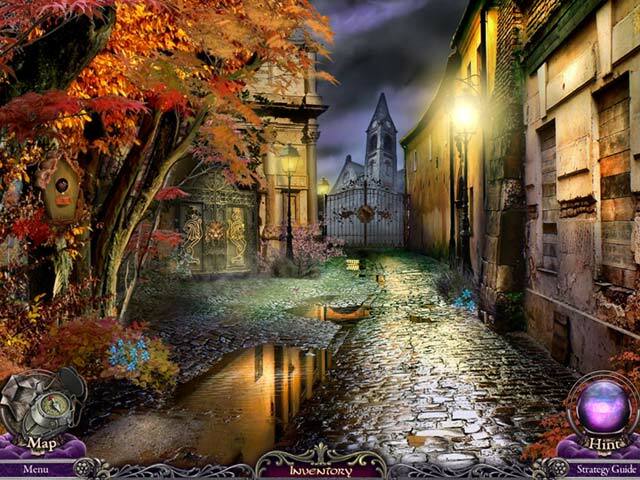 The entering of the a person's mind to explore and uncover the "who, what, where, when and how" is not a very common avenue in games, and even though this was presented as a house of many rooms [often used to represent the mind], it was well done and kept your interest to the end. Multiple philosophical quotes about the mind are presented by the narrator beginning with this first quote that kind of sums up the game, "A town, it's always a town. A person's mind is an abstract thing. So the psychic must imagine consciousness as a town, squalid or clean, healthy or ill, sometimes crowded, sometimes desolate. This girl's town is all back alleys and hidden rooms, it's ill and full of secrets. The psychic must uncover every secret, including the most obvious, the girl's name. Until then, this town must be called Jane Doe." The journal is presented as Jane's medical chart on which are plotted her various symptoms and stores the some of the videos that can be replayed. There is an interactive map with action areas indicated and the usual hint button. Graphics were representative of the various scenes and nicely done. Live actors with very good voice acting rounded out the experience. Music was fitting to the many scene changes encountered. 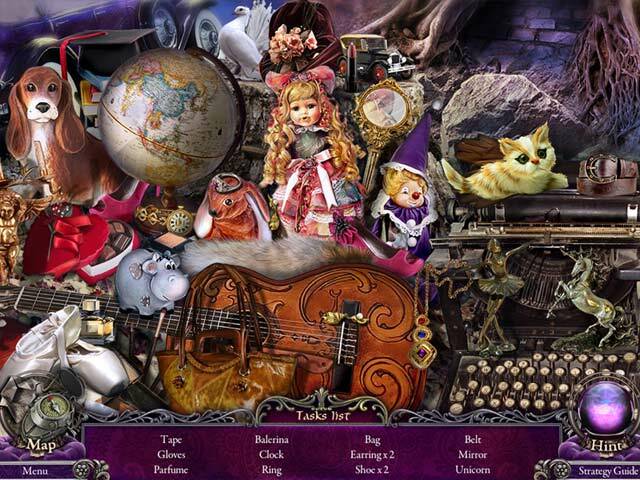 Hidden object scenes, inventory puzzles, and minigames are standard but well done. There are 16 achievements to be had as well as 328 "aura flowers" to be collected throughout the game, 255 in main game and 73 in bonus chapter. The ranged from singles requiring you to look closely to clumps which were easily spotted. The flowers can be used to buy furniture to outfit your office. The ending of the main game was interestingly done in how "Noise" was dealt with and furnishing the "why" of the story. The bonus chapter was only related to the main game in that Jane Doe [real name Elizabeth Green but called Liza] goes to work in your office and everything was fine until she started having a recurring dream of a uniformed man sailing away on a ship in a thick dark fog replaced by a meanacing shadow. She asks you to enter har mind again and find out who he is and you actually explore to find three memories that leads to the answer. This one is worth checking out if you are looking for something a little different as to a story and how it is presented. Rated 5 out of 5 by renewabelle from Love the entire Surface series Some of these serial games taper off in quality, but Surface isn't one of them. Of all of them, this one was most memorable. Highly recommended. Rated 5 out of 5 by MmeMoxie from I especially, liked this one ... This is the 3rd Surface game, I have played. I have enjoyed all of them, but, especially this one! The story line was "right up my alley" and for those, who don't like scary games, this one really isn't. The overall game was well done, as usual for Elephant Games. It was fairly easy to navigate, meaning not a lot of going way far back and forth. Yes, there is always some going back and forth, when you are playing a HOA ... It is just the "nature of the beast", as they say. I only have one very small complaint ... I don't think the Map was as helpful. Oh, there is a Map, but, I seen some better. I know, this game has been out for sometime now and I am probably looking at one the earlier concepts of a Map, than what I have been playing lately. This is why, I call it a small complaint and did not deduct any stars. The Graphics and Music were just awesome, in my book. I can only say, after playing several games by Elephant Games, all of them have had awesome Graphics and Music! Another thing, I really like about the Surface series ... It really doesn't matter which one you play first or second or last ... They are all stand alone stories. I have been playing them out of "order", since, the first one was produced. Please, give this game a good chance, at least, Demo it ... I think, you just might get intrigued enough, to want to solve the mystery. Rated 5 out of 5 by areti7 from ONE OF THE BEST The storyline was exceptionally interesting, complete with fun puzzles.I didn't skip many.A very useful map,At times, the narrator's monotonous voice got tiring,but I was able to skip it. Excellent HOS.It's a game that I will play again after some months. 5/5 stars!! Rated 5 out of 5 by ThisBrevity from Surprisingly good. Get the CE Version! Two things: I do not usually get the CE versions because I am a poor grad student, but I highly recommend it for this game, both because of the quality of the bonus and also because the office decorating was really fun. I know it sounds silly (it did to me when I read the reviews) but it actually was a lot of fun since you can buy a gramophone, a remote controlled car, all kinds of cool stuff! Also, I almost did NOT buy this because I was a little weirded out by the title, the picture (on the SE version, which is what I kept seeing all over the place...that's just a creepy picture, sorry#, and even the little I read about the storyline. It sounded like some kind of mystery, horror theme. To be fair, I also did not read anyone's description of the story very carefully because I never do - I personally like to discover the story myself, not through a review, besides the most basic premise. A lot of reviewers have ruined my enjoyment of the intro by their detailed descriptions of what happens. ANYWAY, I am SO glad I did not pass this one up. Here's what I liked best: -Story was creative, creative, creative - wow. This kept me interested. -Mini-games were medium-to-hard, but DOABLE - keep trying, they are not just meant to frustrate! You will feel a great sense of accomplishment when you're done. They actually looked a lot harder than they were, they were all doable without having to just guess and guess and guess. If you took a moment to stop, think, and plan out your next moves - you could do it. I can't say the same for many of the "harder" mini-games I've played. I absolutely loved the games in this one and the fact that I had to use my brain. -The main character is not objectified. There's a lot of reasons why this is important that I can't/won't go into. Let's just say I am very, very, very grateful that they didn't feel the need to depend on superficiality or exploitation to sell this one. They certainly didn't need to. -They treated a potentially sensitive subject VERY responsibly. This is also not something I see every day. I seriously want to send a thank-you card to the Surface devs because of this, lol. Sometimes it felt a like hokey, yeah, but no more than any other HOPA that I've played. I guess they all are a bit hokey. :) But this one did a really good job of it. It is better to get the SE than nothing at all, but I do really think the CE was worth it because of the fun use of the collectibles, and the more satisfying post-ending conclusion #although the story IS fully resolved in the SE, which we all can appreciate#. Save up your game credits or something, or wait for a sale. I cannot recommend this game enough. It's in my top 5 now. Seriously. Rated 5 out of 5 by SnoCrone69 from One of the best This was one of the most interesting games I've found on Big Fish. The story line, if not precisely accurate, is still fun to follow. The challenges are difficult enough to be fun without being so obscure as to be impossible. The engineering is very goo. When a young woman is found comatose by the side of the road with a bloody knife beside her, it’s up to you to unravel her story!